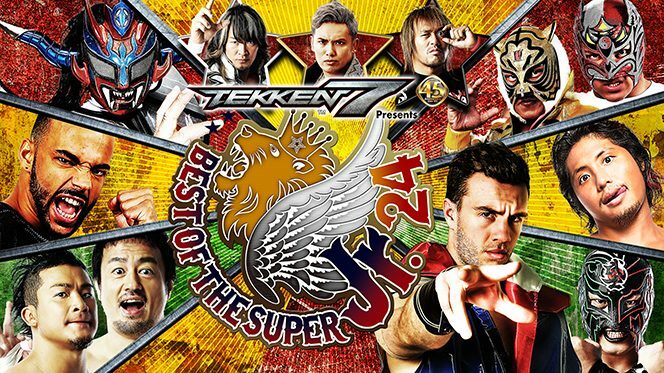 New Japan’s Best of the Super Juniors Tournament began today. The 2015 edition was mostly full of lackluster matches (outside of the finals), but last year provided consistently good matches and some standouts (KUSHIDA/O’Reilly for example). This year’s tournament sees half the field change. Returning are KUSHIDA, Ricochet, Will Ospreay, Ryusuke Taguchi, Jushin Thunder Liger, Tiger Mask IV, BUSHI and Volador Jr. This year’s additions are Hiromu Takahashi, Dragon Lee, Marty Scurll, ACH, Taichi, TAKA Michinoku, El Desperado and Yoshinobu Kanemaru to replace David Finlay, Rocky Romero, Beretta, Kyle O’Reilly, Bobby Fish, Matt Sydal, Chase Owens and Gedo. Overall: 7/10. A good start to the tournament, though a few things fell short for me. Taichi/Ricochet, Tiger Mask/Volador and Kanemaru/Taguchi are all easy skips. The rest of show ranges from good to great. ACH/BUSHI is quietly a damn good match, while Scurll/Ospreay was on par with it. Liger/TAKA was better than expected and I enjoyed KUSHIDA/Desperado. Obviously, the main event was the best thing of the show. Add it all up and you’ve got a good first night.